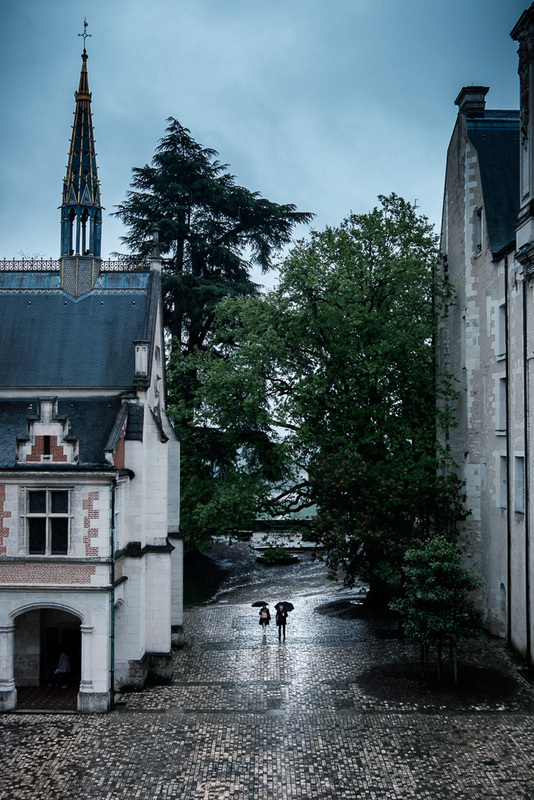 An everyday life's Odyssey » A rainy day in a royal courtyard. A rainy day in a royal courtyard. A rainy day in a royal courtyard. Château de Blois, cure France. I actually waited a while in the majestic spiral staircase for passer-byes to walk on those pavements, where the light was reflecting.